Although Dupieux may be at the forefront of this bizarre world of irreverent comedic violence, he is not the only one making this type of entertainment. Eric Wareheim and Tim Heidecker have been making ‘Tim and Eric’ productions in this vein for years, in any number of formats, and 2012 they released Tim and Eric’s Billion Dollar Movie. 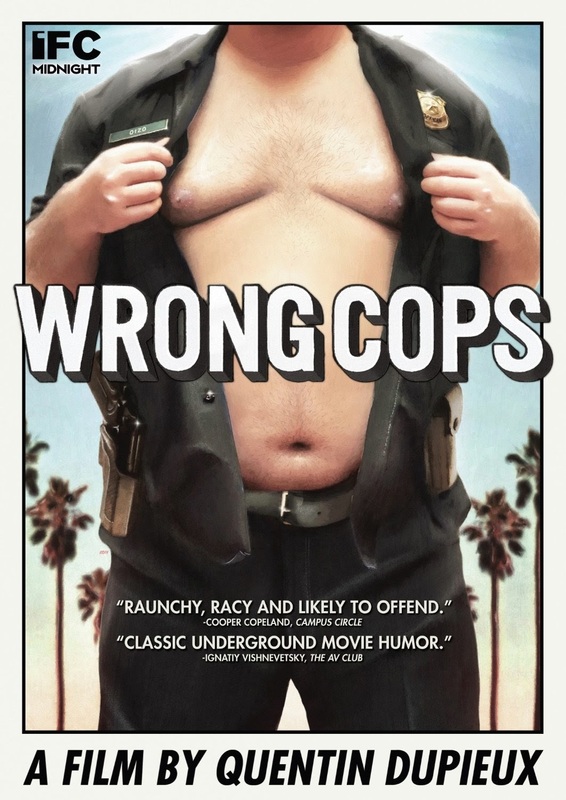 Eric Wareheim joins the cast of Wrong Cops as an officer with a disturbing way of using his power, not to mention eating a sandwich. Wareheim plays only one of many characters that make up the ensemble cast of Wrong Cops. Marilyn Manson is one of the most bizarre casting choices in the film, and also the most inspired. He plays a reclusive teenager with a little bit of an attitude and braces on his upper teeth, and it is a breakout performance which steals many scenes of the film. Trying to describe the plot of Wrong Cops would be, well, simply wrong. This isn’t a movie about things that happen, and at times it feels as though nothing of significance actually occurs in the plot. Everything about the film is absurd, and intentionally so. Part of me thinks that Dupieux creates films that will only sound more ridiculous when described, and for that reason I encourage brave viewers to experiment on their own. You may love it, you may hate it. It may bore you or captivate you, but nearly everyone is bound to be united in an inability to define Wrong Cops in any established cinematic parameters. The DVD includes a commentary track with Dupieux, along with actors Wareheim, Mark Burnham and Arden Myrin. Also included is the short film which ultimately led to this feature, Wrong Cops: Chapter 1.